This comes down to personal preference, but it's important to match a camera's features to your lifestyle needs. Ultra-thin cameras will fit into your pocket with ease, which is great for travellers. Regular-sized digital compact cameras are still small enough to fit in a handbag, but often come with more features. How does the camera store photos? 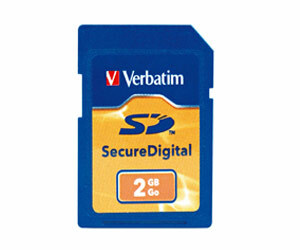 Instead of using a roll of film, digital cameras convert images into digital files, which are stored on internal memory or removable memory cards. This lets you take hundreds of photos in one session and delete the one's you don't like. Pixels are the small dots that form a digital image. One megapixel (MP) equals one million pixels. The higher the megapixel count, the bigger the images can be printed without losing quality (pixelating). Optical zoom (true zoom) delivers a closer image, while retaining image quality. On the other hand, digital zoom reduces image quality. This is because digital zoom digitally enhances an image by cropping then enlarging a section of the image, while optical zoom uses the lens. 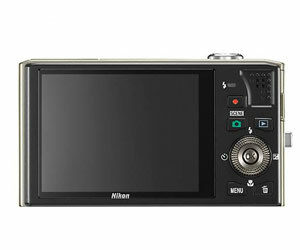 The LCD display screen on the back of the camera shows a preview of the photo you are about to take. It also displays previous photos and allows you to scroll through the camera's functions. In digital photography, a bigger display screen is easier to use. Some LCD displays offer touchscreen control and menu functions. Most compact digital cameras come with custom-fit rechargeable batteries, while some budget models and super-zoom cameras run on AA batteries. Record the spectacular scenery and events on your next trip. Wide-angle lens - Perfect for picturesque landscapes. Look for about 25mm. 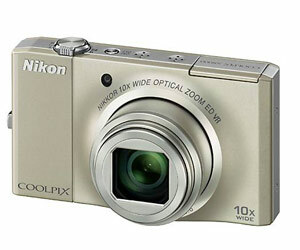 Zoom - Try to get as much optical zoom as you can afford; 7x optical zoom or more is great. Size - The smaller and lighter the camera is, the easier it will be to carry around. Record every magical moment of your family's lives. High Definition Video - Relive those special moments with a clear video recording you can keep on a computer. Zoom - Get closer to the action with 10x optical zoom or above. Image stabiliser - Helps prevent blurry pictures caused by unsteady hands on the camera. Nurture creativity with a durable, easy-to-use camera. Shockproof - Kids are tough on gadgets, so buying a shockproof model makes sense. Waterproof - Another good idea is to ensure that the kids' camera can handle liquid hazards. Colours - Cameras come in a range of fun colours.